“The more passion in the blog writer, the more passion in the readers,” explained Rowse at his BlogWorld talk. 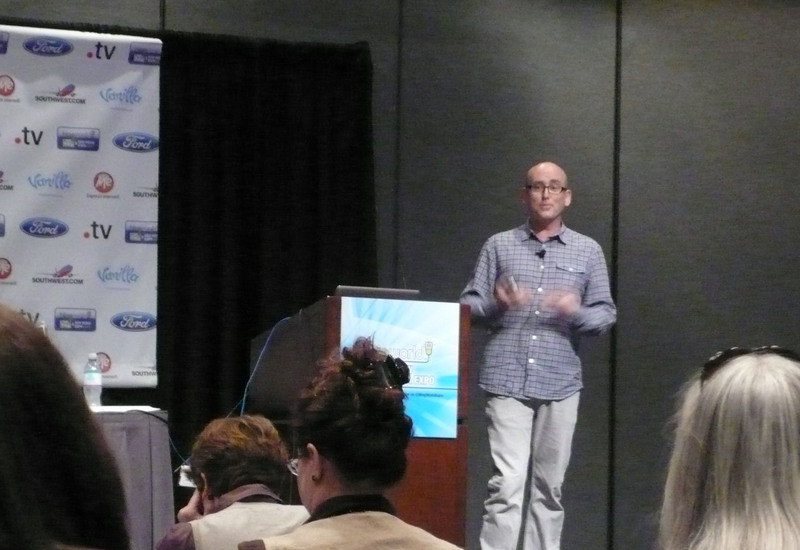 I had the pleasure of hearing “Blogging from the Heart (But Smart),” a talk by Darren Rowse, author, blogger extraordinaire and digital photography guru, at the Los Angeles BlogWorld conference a few weeks ago. Slated for the early morning session of Day 2, after many attendees enjoyed a tequila-maker-sponsored party the night before, it was clear from the packed auditorium that Rowse’s talk was going to be inspiring. “Where the heart and the smart come together,” Rowse told the crowd, “ that’s where the magic has happened for me.” While he advocates passion around your subject matter and your blog community, he also recommends treating blogging like a business (if you want it, ultimately, to be a business) and defining what success means for you. If your blog is all heart, you risk burning out on passion, he said. Think strategically about your audience, content, brand, and blog promotion. Rowse has launched a number of blogs, Problogger and Digital Photography School perhaps the best known outside of his native Australia. He has an especially beneficent and welcoming approach to creating blogging communities and sharing his knowledge. According to his book, Problogger, written with co-author Chris Garrett, Rowse and his wife got married and started a family as his blogging career got under way. He talks about his kids on Twitter and shares proud-dad snapshots and, he said, as kids do, his children occasionally run through a shot of a video blog or play in the background of photos he’s trying to take. The line between personal and professional blurs; candor and openness appeal to readers, engendering a sense of trust. Through all this, as the subtitle of Problogger suggests, Rowse and Garrett have blogged themselves a comfortable income. Making money from blogging isn’t the only purpose of Problogger or for many people who start blogs, myself included. What makes the book so practical for those about to blog and writers who’ve already taken the leap is its step-by-step approach to everything from content creation to finding and engaging an audience, search engine optimization, advertising, and selling and buying established blogs. Rowse and Garrett offer examples from their own experiences in blogging’s early days and provide helpful case studies, including a year-by-year analysis of how Rowse grew the Digital Photography School blog. One of the chapters offers a simple-to-follow technical walk-through of setting up a WordPress blog on your own domain. For those who find WordPress needlessly complicated (you may have noticed I use Blogger), this was illuminating. As was the section on choosing your blog’s color. Good question, I thought. When I created No Bad Language, I’d spent 10 years at companies saturated in blue. One company even had the word “blue” embedded in its primary product name – you can’t escape “blue” when you work for a jeans giant – the other company used blue (and white), as many health-care entities do, to denote “clinical,” “sterile,” “medical” – all those words we associate with safe products. From corporate websites to intranets to PowerPoint templates: blue. I found I could hardly look at blue anymore, despite it being my very favorite color my entire life, no contest. And, what’s furthest from blue? Why, red, of course. Given a bit of time and distance from blue branding – and a solid education in social media and blogging in the interim – I’m in the process of re-evaluating that choice plus a few others I made early in my blogging process. All this to say, you may see some changes to the blog as we go through the holidays. I welcome your feedback and expertise, if you’d like to share in the Comments. Do you have favorite colors? Which backgrounds make it easiest to read blogs online? What works for you, and what doesn’t? 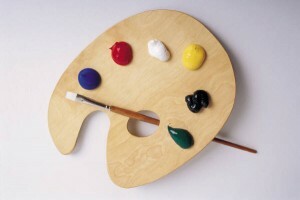 This entry was posted in Blogging and tagged blogging, know your audience by Vickie Bates. Bookmark the permalink.